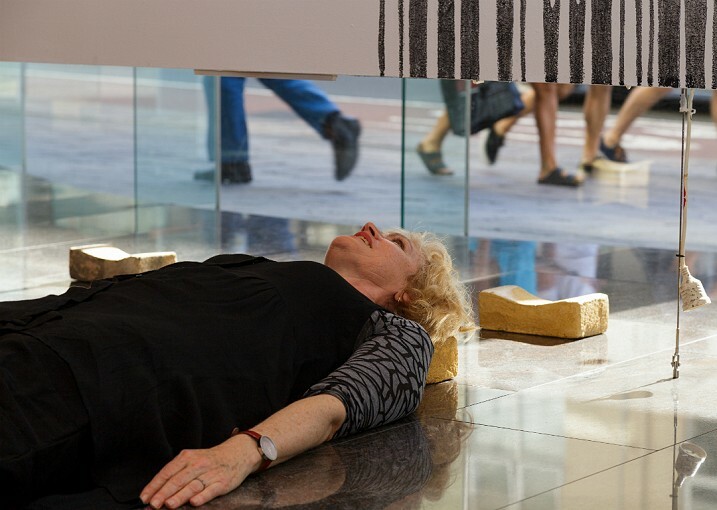 Robyn Backen is an interdisciplinary artist whose work makes connections between art, philosophy and science. 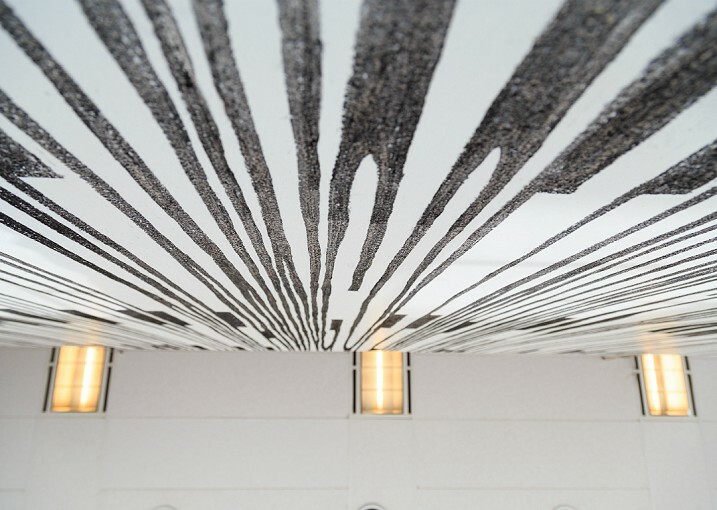 She is known for installations that are technologically complex yet minimal in appearance. Her work often references systems, such as language, code and classification. Backen’s recent practise has evolved from extensive research into the acoustics of ancient whispering architecture. This phenomenon occurs when certain architectural features allow whispers to travel and be heard clearly in distant parts of the structure. 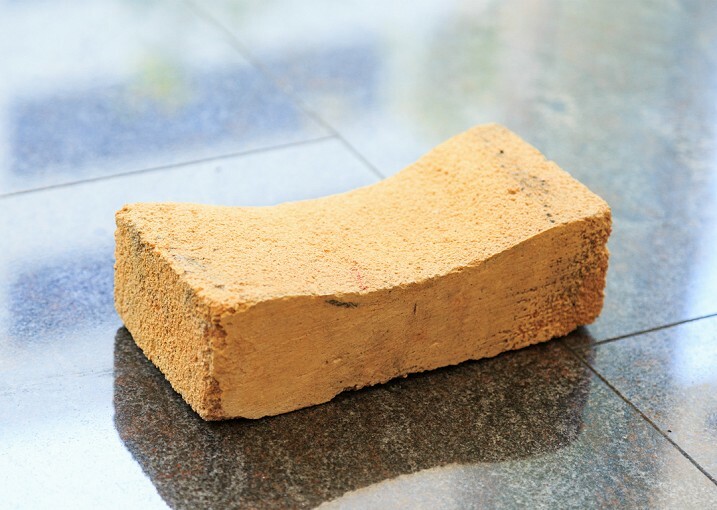 The idea of the whisper as a formless and ephemeral version of speech has inspired Backen’s site-specific work Emptiness. 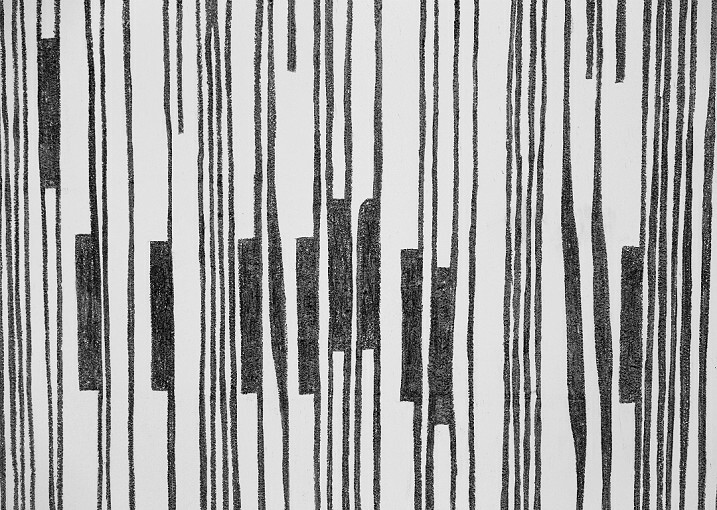 The charcoal wall drawing initially appears indecipherable, but when viewed from below, the elongated letters come into focus. Once de-coded, Emptiness poses a question and an answer in the form of a circular thought. ‘How can one perceive the meaning of emptiness in the presence of a whisper? is answered by a conundrum: ‘Emptiness is form…..Form is emptiness’. This paradoxical interpretation of form allows space for the contemplation of nothingness, meaning and existence. 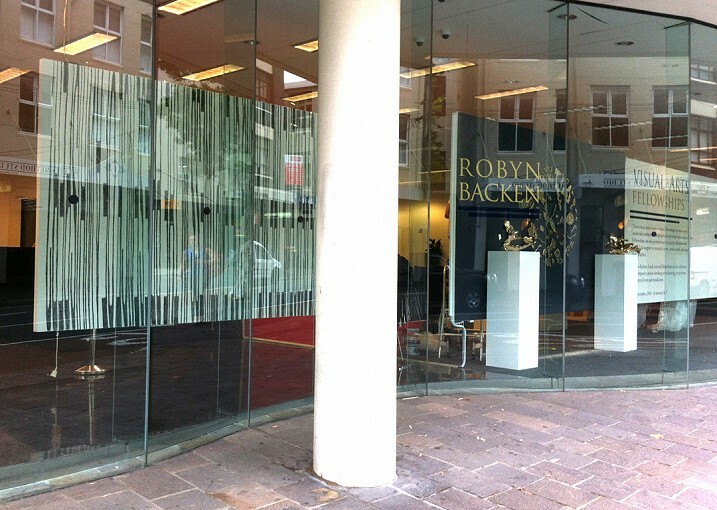 Robyn Backen has exhibited widely in Australia and overseas since 1990. 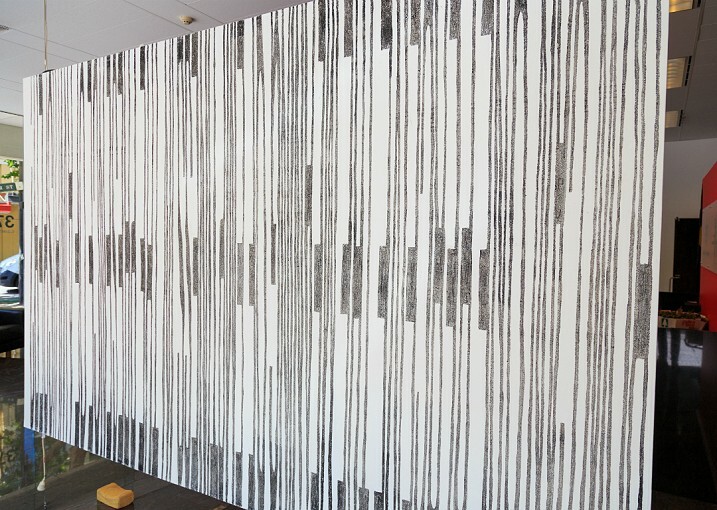 She has completed many large public commissioned artworks including Delicate Balance at Ballast Point (2009) and Night Watch at the ATO Building in Brisbane (2013). She is currently working on the international collaboration Nomanslanding to be presented in Sydney, Scotland and Germany in 2016. Backen coordinates the Masters of Studio Art at Sydney College of the Arts, University of Sydney. 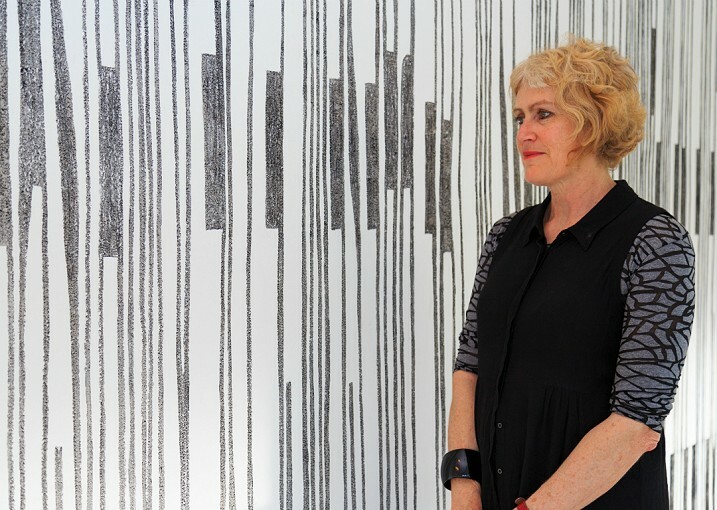 She was awarded an Australia Council Visual Arts Fellowship for the period 2012-14. ‘How can one perceive the meaning of emptiness in the presence of a whisper?